An untitled self-portrait, it is usually referred to as a portrait of Johnston as the “New Woman.” The “New Woman” was a social construct of the late 19th and early 20th centuries, when more and more women were seeking out higher education and employment opportunities. “New Women” were supposedly liberated from the confines of the traditionally feminine sphere of domesticity, and their dress and habits reflected the freedom they insisted on seizing. They earned their own money, lived independently, rode bicycles, and some of them even wanted to vote. 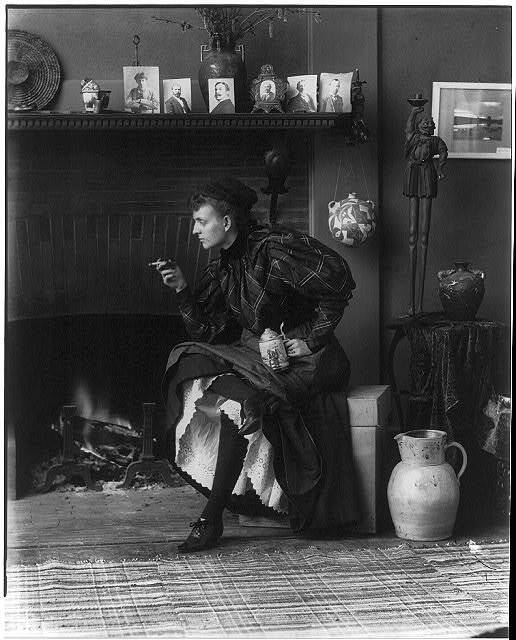 Johnston certainly epitomizes the “New Woman” in this photograph, with her tankard, cigarette, and exposed ankles, but in reality her life was much more circumscribed by social convention. She grew up in Washington, D.C., in a middle-class family. Her father was employed by the government and her mother was a correspondent for the Baltimore Sun. While they were not wealthy, they were well-connected socially. After studying art in Paris, Johnston returned to D.C. and established a photography studio, a business which was greatly assisted by her social connections. She was able to photograph many politicians and society figures, including the Roosevelts. Johnston’s career spanned six decades, and took her into several other types of photography. The area of her output that connects her to the Hammond-Harwood House is her work with architecturally significant American buildings. She took ten photographs, interior and exterior, of the Hammond-Harwood House in 1939. 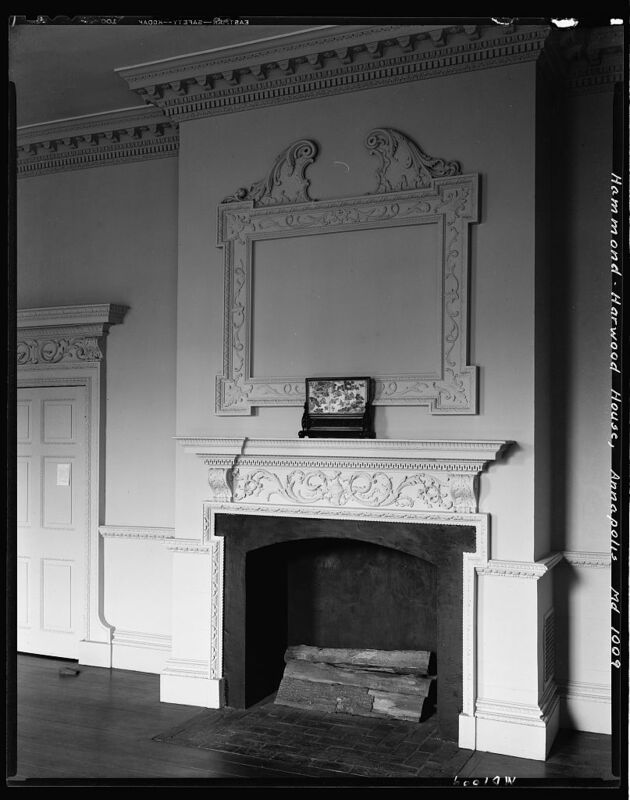 My favorite is this one of the dining room, which shows the carved “frame” over the mantelpiece as it would have been originally, without a painting in it. 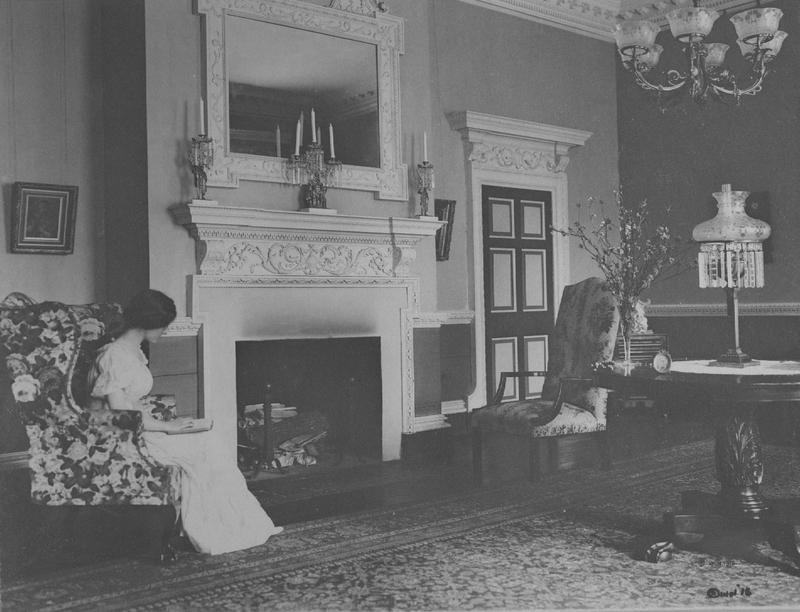 All ten photographs of the Hammond-Harwood House are available on the Library of Congress’s website, as are many other photographs byJohnston. Anderson House in Washington, D.C. is showcasing an exhibition of Johnston’s photographs of their site from May 24 – October of this year if you’d like to see examples of her work in person. One of the Hammond-Harwood House’s biggest annual events is coming up on June 4 and 5. 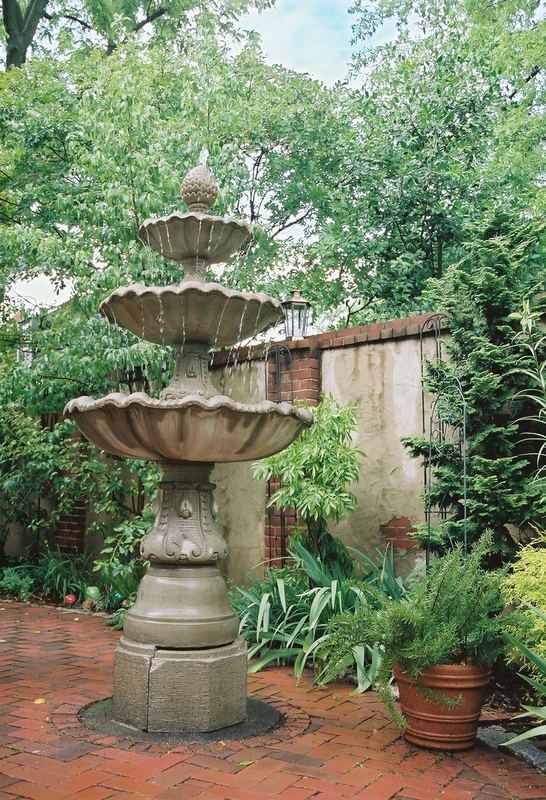 The House sponsors the Secret Garden tour, which gives attendees a chance to visit gardens in Annapolis that are otherwise closed to the public. 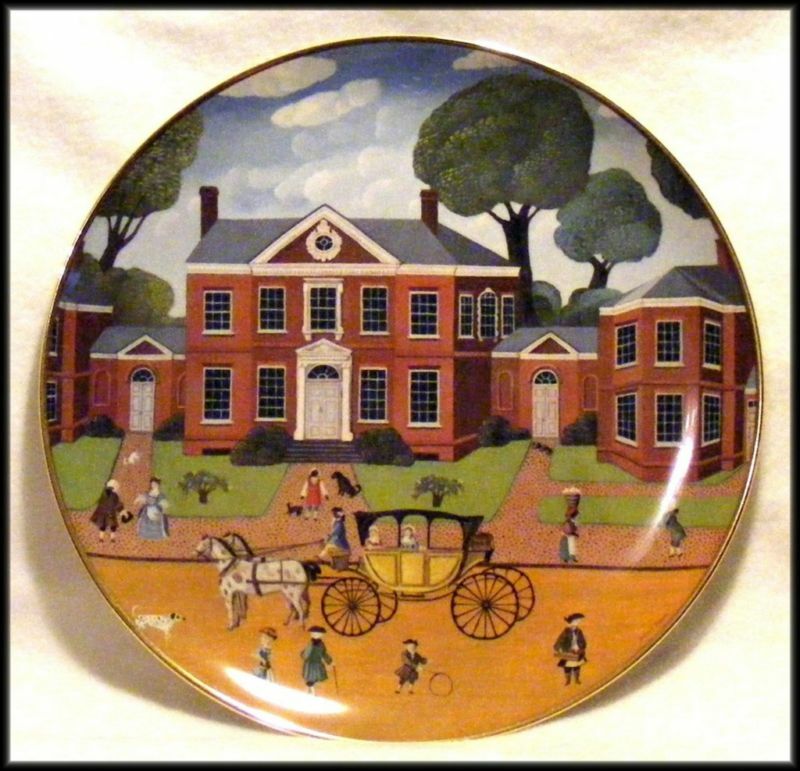 This year, the tour features gardens in the oldest section of colonial Annapolis, in the neighborhood of Revel, Shipwright, Market, Conduit, and Duke of Gloucester Streets. The highlight of the tour is the garden at the John Ridout House at 120 Duke of Gloucester Street, which will only be accessible to Hammond-Harwood House members. Visit the Secret Garden Tour website to learn more and to purchase tickets. Friday Photo: Find Your Own! Hammond-Harwood House has had a number of special visitors recently. First, the students from The Key School called on us in colonial garb so that one student, dressed as William Buckland or Matthias Hammond, could tell the class more about the architect and first owner of the House. See our Facebook album for photos. Today, the staff of the Historic American Buildings Survey (HABS) was here to take photographs to add to their collection of documentation on Hammond-Harwood House. HABS is an invaluable resource on American architecture from the earliest days of the colonies into the 20th century; if you’re an architecture buff and have not seen it you are missing out. We appreciate the work of the HABS staff and can’t wait to see the new photographs added to the HABS entry on Hammond-Harwood House! Stays were usually composed of several layers of fabric with channels sewn to insert boning. While they were rigid, if they fit properly they were not painful. Even babies and children were put in stays, though theirs were not as heavily reinforced as those made for adults. 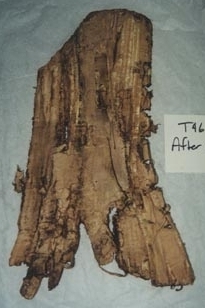 The stays fragment found in Hammond-Harwood House was taken to Linda Baumgarten, the Curator of Textiles of the Colonial Williamsburg Foundation, for analysis. She was able to determine that these stays were made between 1770 and 1785 and boned with baleen (whalebone). The outer layer of fabric and the thread used were both silk, so the stays were definitely made for an upper-class woman. But they were patched with coarser linen, suggesting that the stays were handed down to someone of less wealth by their original owner. Thanks to an industrious rat, we have this piece of history that relates to so many topics: clothing, fashion trends, the reality of women’s lives… I’m glad that he’s no longer in residence, but I feel grateful to the rat nonetheless!